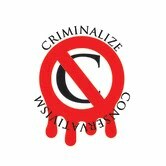 Criminalize Conservatism: Fox News: Is That A Flushing Noise I Hear? 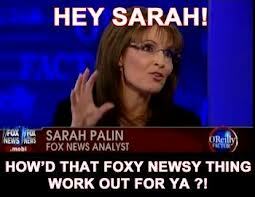 Fox News: Is That A Flushing Noise I Hear? "With January complete, Fox News has completed 11 straight years of being number one in cable news in both primetime and total day. That said, the network saw significant ratings declines in January–particularly in the pivotal adults 25-54 demographic–though its perch remains unthreatened for now. "Fox News was down -6% in total viewers and -22% in the key adults 25-54 demo in total day in January, the lowest demo numbers since July 2008. In primetime, the network was down -17% in total viewers and -40% in the demo, posting its lowest demo numbers since May 2006. It is worth noting that January 2012 was a big one in the Republican primary race and FNC hosted two primary debates, but this month was no slouch either, with the inauguration and a number of big political stories. 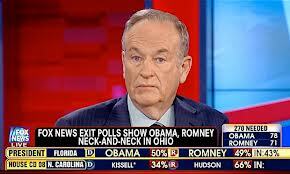 "In primetime, 8 PM’s 'The O’Reilly factor' was down only -2% in total viewers, though it was down -25% in the demo. At 9 PM “Hannity” was down -3% in total viewers, and down -19% in the demo. At 10 PM, “On the Record” was down -18% in total viewers and -38% in the demo. "The highlight for the network was 5 PM’s “The Five,” which was up +21% in total viewers and up +5% in the demo, easily the strongest performance of any show on the channel. Just about every hour of dayside programming was close to flat in total viewers, and down in the demo. "In the morning, 'Fox & Friends' was up +5% in total viewers, but down -17% in the demo. 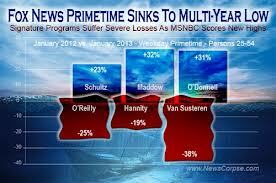 It has been number one on cable news for 135 straight months, drawing more viewers than MSNBC, CNN and HLN combined." "Only dinosaurs listen to radio these days, and it’s doubtful many people under 50 even know AM radio exists, so it shouldn’t be surprising that the average age of right-wing radio listeners is 67. It’s also truly not shocking that this demographic is also predominantly male. According to a Pew study in February, 72 percent of Limbaugh’s elderly listeners are men and thus are statistically likely to 'stroke out' sometime in Pres. Obama’s second term, assuming he wins one. "However, television viewership trounces radio audiences in every demographic, so the fact that the average age of FNC viewers is, well, retired could have huge ramifications on the political playing field over the next decade. "In a survey released by analyst Steve Sternberg, Fox News has the oldest audience among fully distributed cable networks. The network’s average viewer last season was 65 years old, according to Nielsen. Heck, it’s viewers are even older than viewers of Hallmark Channel, Military Channel and Golf Channel." "One of the most interesting events of the 2012 presidential election occurred when Fox news anchor Megyn Kelly left her post to visit the war room to check for herself if the number-crunchers had really just called the election in favor of President Barack Obama. "The disbelief of the Fox election panel — including, Bret Baier, Chris Wallace and Karl Rove — was unmistakable. They had convinced themselves and millions of others that Obama would be swept from the White House in an overwhelming Republican victory. "This is what happens when people begin to believe their own hype. Most Obama supporters and objective journalists went into the election believing that the outcome was too close to call, based on the polls and other information available. "In our own Knox County, where Mitt Romney received more than 60 percent of the votes to Obama's less than 35 percent, the shock was even greater. When the majority of those with whom we surround ourselves are like-minded people — in church, at family gatherings and other social events — it begins to appear that everyone believes the same way we do. 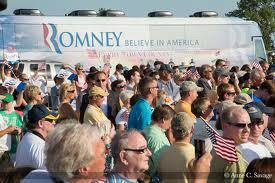 "There was supreme confidence among local Romney supporters that the election was only a formality. After all, when nearly two out of three friends and neighbors believe a thing so passionately, it must be true. "The reality of the situation became evident only after the votes were tallied. The 47 percent of the population that Romney painted as parasites — especially retirees and out-of-work veterans and students — had been inspired to get out the vote. "Romney banked on white voters, and roughly 88 percent of his were white — with 2 percent black, 6 percent Latino, 2 percent Asian and 2 percent 'other.' Obama's voters, on the other hand, were 56 percent white, 24 percent black, 14 percent Latino, 4 percent Asian and 2 percent "other." The election proved what had become increasingly obvious to most outside the Republican fantasy Romney was selling — this country is becoming more diverse, and those who refuse to accept it will no longer decide the presidency. "Despite his conciliatory concession speech election night, the real Romney was back with no change in attitude. He told his followers that Obama won the election by giving 'free stuff' to women, blacks, Latinos and young people. Not a word about how he himself alienated those very people in order to please the people who failed to elect him. "America is a nation of immigrants, and those who can't compromise are already a minority." And America is rapidly discovering the real agenda of the Conservative Republican Party - to return us to the Age of Feudalism, with no concern for the criminality of their actions when it comes time to do the bidding of the Conservative leadership and their wealthy benefactors. The Conservative world of old, white males is disappearing. 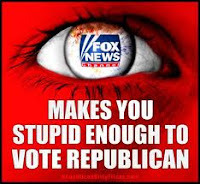 And the time will soon come when America realizes that Conservatism must be exposed for the criminal enterprise that it is, and always was, and that as the Conservative capos' biggest propaganda arm, Fox News should be stripped of all rights to broadcast under the "News" banner.